Russian President Vladimir Putin is a phenomenon who can bring peace to many across the globe, football legend Diego Maradona told journalists in Moscow, adding that he views US leader Donald Trump as a cartoon character, who can’t be treated seriously. 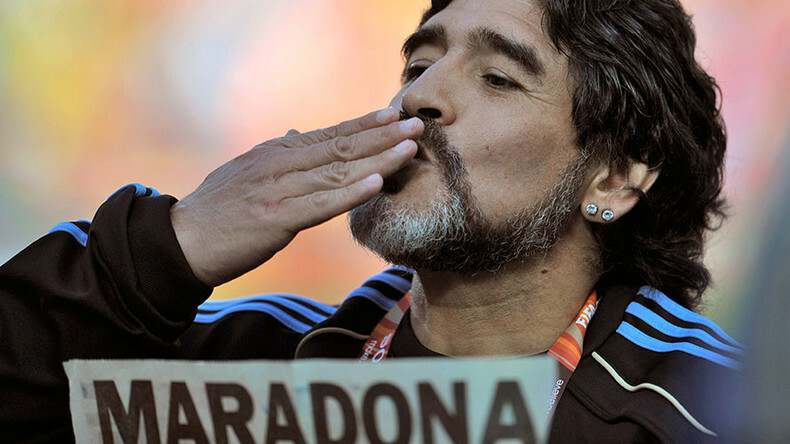 “I think that after [Hugo] Chavez and Fidel [Castro], Putin – together with [Ariel] Ortega and Evo [Morales], represent the ‘top league” of political leaders, said Maradona, who arrived in Moscow on Friday. “He’s like a cartoon to me, if we talk about politics… Every time I see him on TV, I switch the channel,” he added. The 56-year-old footballer said he didn’t believe that America is currently the dominant force on the international arena. “One shouldn’t forget about Russia, China, about North Korea. The US isn’t the county sheriff anymore. We’ll find a gun to match the one they have,” he said. Latin America is feeling “increasing pressure from the right. By right, I mean the US,” which is bad for the continent, he said. “The right is stronger now. The right has more money. They can buy a lot of things. And I’m outraged because of it – as under previous presidents, the people at least had food, but now in Argentina there are people who are starving. It’s sad. Very sad. And it’s not only Argentina. 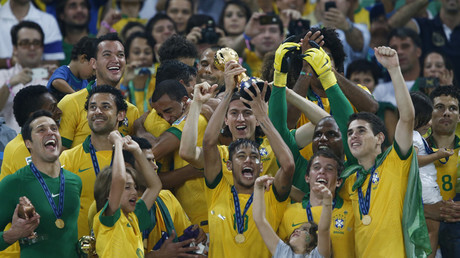 Brazil, as well,” he said. During his stay in Moscow, Maradona also visited VTB Arena park, which is currently being prepared as one of the venues for the 2018 FIFA World Cup in Russia.